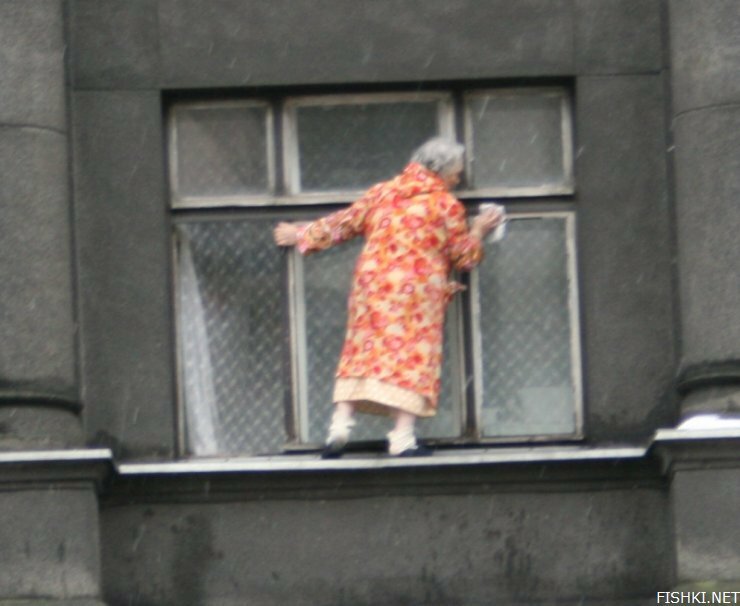 Ohhhoooo, how brave granny ! 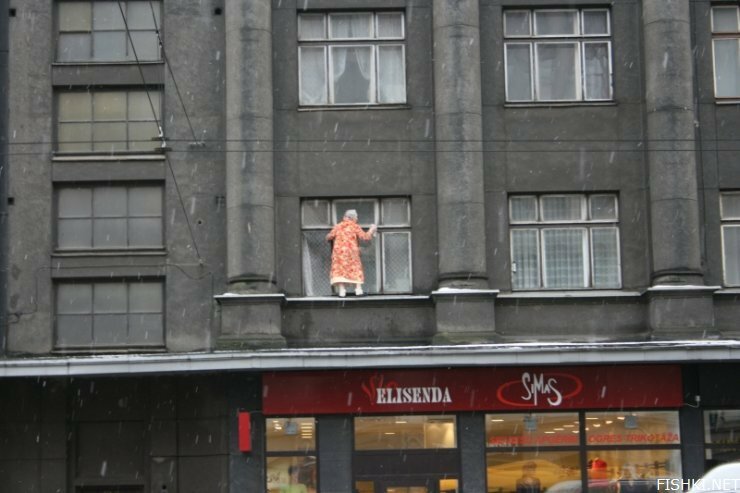 Shouldn’t be: “This old lady from Latvia has no fear…”? 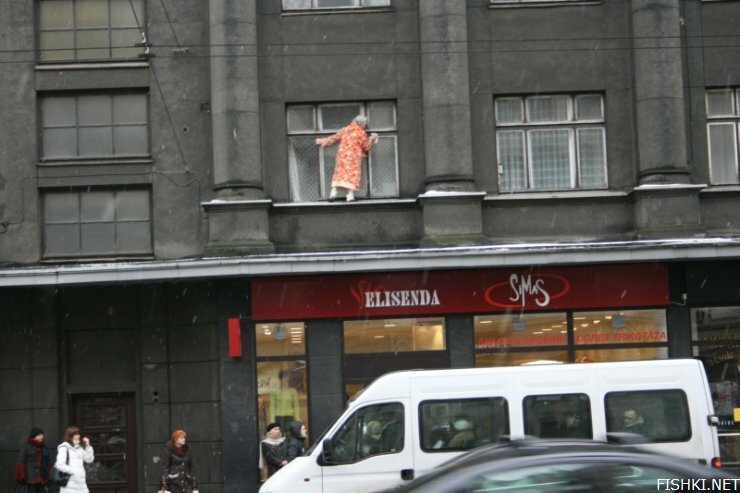 Those old Russian ladies have great spirit. 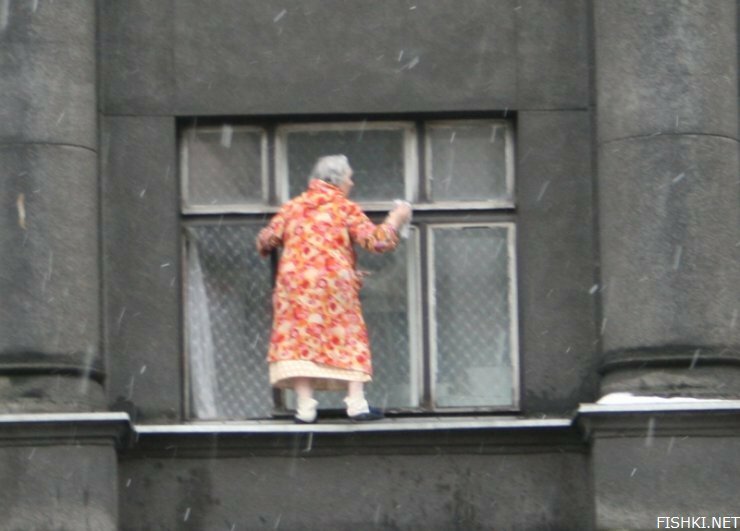 old russian lady?? 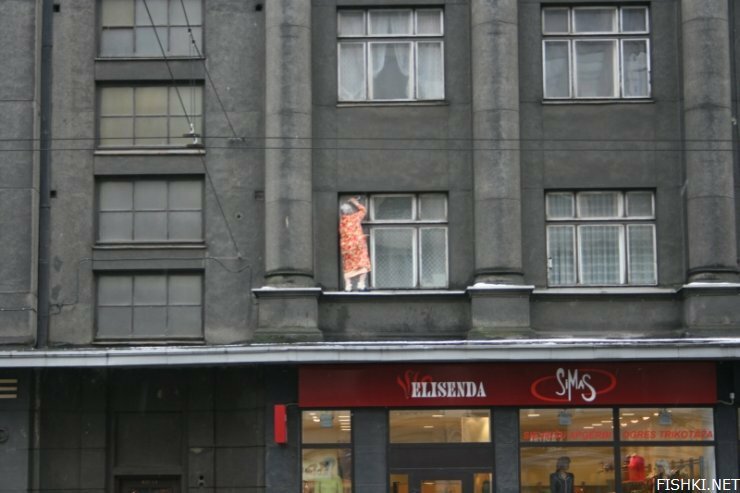 its in latvija.. just as likely that she is old latvian lady,, i hate the assumption that latvija is russia….. 2 different worlds.. 2 different languages.. 2 differnt cultures. What do you expect from a cowboy!!!! I bet you wanted to write “fear”. why IS she cleaning them? but she seems to clean op the wood ? Maybe she’s just tired of living and tries to commit casual suicide. Yes, it is. I know that house. Brivibas? Is the place new, it doesn’t look familiar to me? Also can’t tell if she is Latvian or Russian, they all dress like that. Vecmamina or Bobushka? !!! Vecmamina, You’re quiet right. True, they are not of Slavic race, however, their languages belong to the Indo-European language family which, including also languages such as English, German etc, makes them relatives of (at least language wise) Slavic peoples. The only one of the three Baltic peoples not related to Slavic peoples is the Estonians whose language belongs to the Finno-Ugric(Finnish, Hungarian, Mari, Komi etc) language family. Yet it is true that Latvians (at least) are of an utterly different mindset than,. e.g., Russians …. In addition, and to a great extent in contradiction to research on the basis of linguistic analysis, genetics-related data has started to emerge in recent years. According to Finnish research (Laitinen et al, 2001) and Richard Villems (2001, Estonia) who have carried out principal component analysis of some major genetic lines, the closest genetic relatives of modern Balts (Lithuanians and Latvians) appear to be modern Estonians and Mari people (autonomous republic of Mari-El in Russia) while Russians and Poles have considerably less genetic similarity. This has led some scientists to believe that the people known today as Balts were initially largely of Finno-Ugric origin (or in turn, modern day Finns were initially of east Baltic origin) – thus, the languages spoken today by these groups would have become established through language replacement. she is really brave indeed!